so can you fly Qantas SYD/FIJI & then Fiji Airways FIJI/LAX or SFO on one fare ? We flew Qantas nonstop to LAX & then home via Fiji. but why would anyone fly Qantas SYD/NAN in a 737 when they come fly Fiji Airways in an A330 with low cost upgrades to business class(buls bids). Fiji Airways is so much better airline in so many ways. Hi John (or any other reader). How low can Bula Bids realistically be? We are flying on the new Max 8 BNE/NAN next month. The difference between the lowest Economy and Business fares is $771. I was thinking maybe $300? All the codeshare Qantas flights on Fiji Airways MEL to Nadi are red eyes, while Virgin has at least 3 daylight nonstops a week. And what market research have you done to justify year round flights Mel – Sunshine Coast? It comes down to money, fleet utilisation and crew. daytime MEL/NAN flights would connect with Fiji Airways NAN/LAX & NAN/SFO flights, whereas there are currently no QF or FJ daylight flights. The reason FJ has done this is because the Government imagines tourists/transit passengers after a 6-7 hour long flight would spend $225fjd to go to a Mamanuca Island for a day-cruise and return to the airport for their 9pm departure out of Nadi. don’t think it will be very long before Virgin sends Tiger to Fiji. Even a twice weekly service from ports such as Canberra or Gold Coast could work. Gold Coat would not work, Jetstar tried that once, failed to fill seats. Fijians prefer going to Singapore over Gold Coast and I do not reckon anyone from gold Coast would want to travel to Fiji since Fiji offers much less than what Gold Coast already has. of course gold coast would work. Fiji Air(Air pacific) tried it few years ago(must be 8 or more) but didn’t give it enough lead time. Not aimed at Fijians. Transit passengers would only fill 1/4 of a plane, Fiji Airways would rather increase frequency to Wellington or fly to some other part of Australia than OOL. Fiji are geographically advantaged in that, airlines flying nonstop LAX/SYD are weight restricted. The last 3 or 4 hours flying … they ahve to carry more fuel, as they are carrying so much fuel. 10 hours is optimal for many of the aircraft that fly the route. 13-14 hours isn’t as economic, but many want to save 2 hours(or think they do, cos airlines tell them that) & pay extra. 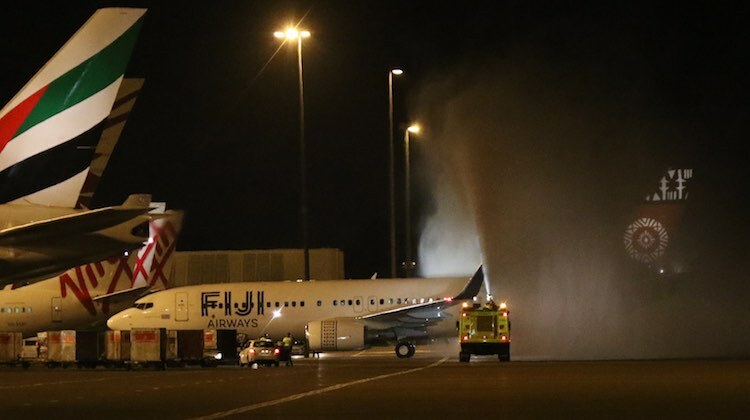 Fiji Airways has there 2nd 737 max 8. It was in the hanger when I returned 12 days ago. It was on the Nan-Syd route the following day. Mark, not everybody wants to fly Tiger. 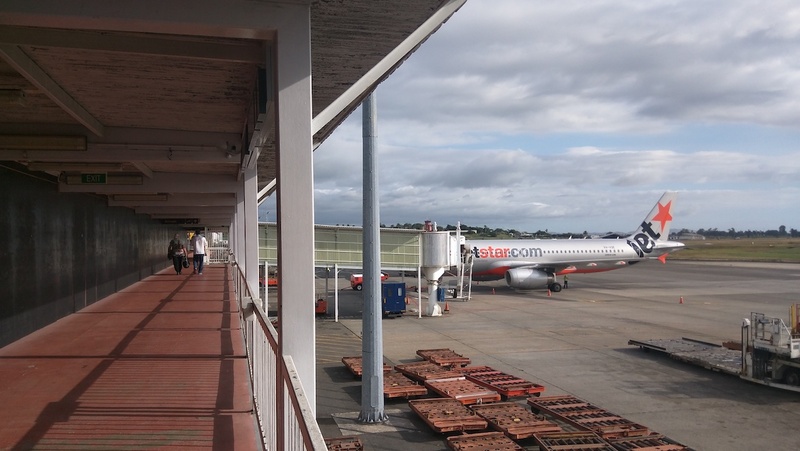 Not everyone wants to fly Jetstar either. 2019-20 are going to be the years of the RECESSION WE HAVE TO HAVE & many will be looking for cheapest option. 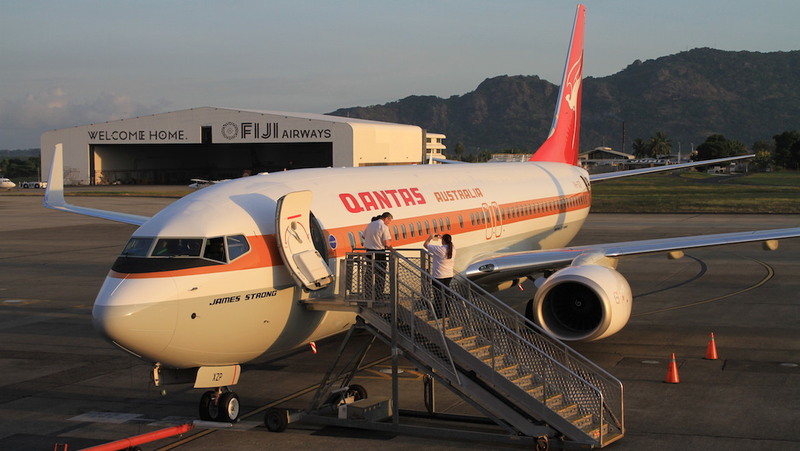 Fiji Air & Qantas are rarely goping to be cheaper than Jetstar & with Tigers costs, they could probably be cheaper & if they didn’t fly old Fiji air routes of CBR/NAN & OOL/NAN they could probably take over some of virgin flights to NAN. Many will either find perceived cheap fares or not travel at all. It’s going to be a very rough year for airlines, as discretionary spending plummets. this is great news. schedules not so good on the return though But I would most likely go Qantas Adelaide via Sydney to Fiji but return home nonstop on the Fiji Airways ones to Adelaide. always wanted to go there having seen how wonderful it is on TV. No, but expats will from Coconut time if they stay there long enough! Will there be a Qantas club in Fiji ?? Of course there won’t be a Qantas club in Fiji for just a few flights a week, but the real question is, can you use the fantastic Tabua Club, I think it’s called of Fiji Airways, which is muxch better than most Qantas clubs.